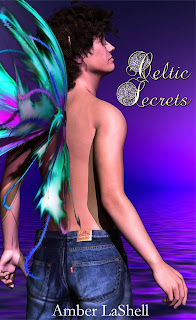 "" Read more : http://www.ehow.com/how_8339780_put-emoticons-blogger.html WillowRaven Illustration & Design Plus: 'Celtic Secrets' is now available in print! I originally created the cover for Celtic Secrets, the second book of the Abby Kane Trilogy by Amber LaShell, for eFormat. Now, after several months, it is available in paperback. Being a 'real book' person, I am ecstatic about it. I also happen to be working on the cover for book three, Celtic Destiny, and will be sharing that with ya'll soon. Now that Abby's boyfriend Tom has learned that he is actually a Faerie prince, and not a mortal, as they thought, and realized that he can stay in the Other World with Abby, she has never been happier. That is until she finds out that Elysia, the evil Faerie Queen out to kill her, has escaped from the makeshift prison Abby trapped her in and is assembling an army against her. Now Abby must take a journey to try and find out Elysia's secrets if she has any chance of winning this war.